Federal prosecutors have been looking into Hathaway’s alleged effort to hide income and wealth to avoid a $600,000 mortgage debt. She is also accused for engineered a very shady short sale on a $1.5 million lakefront home. The unprecedented action against Hathaway was taken after an investigation into the dealing of herself and her husband, attorney Michael Kingsley. Hathaway is accused of claiming to a bank in 2010 she was retiring — and would lose her $164,610 annual salary. In this way, Hathaway allegedly claims financial hardship to dodge the debt to ING Direct on her home. However, hardship is hard to make out with massive assets so investigators say that she and her husband transferred two homes to Kingsley’s children and Hathaway gave a third stepchild $195,000 cash to buy another home. Yes, you guessed it, she then moved into the home. Their prior home was transferred to Kingsley’s daughter on a short sale and then got it back in an exchange for $10. Hathaway’s background including attendance at the Henry Ford Hospital School of Radiological Technology, 1972-74 and then attending Wayne State University, 1980-81. She received a BS in Health from Madonna College. She then received a law degree from the Detroit College of Law (now Michigan State University College of Law) in 1987. Michigan needs to look South and adopt the Missouri Plan. You could be right AY. Of course those are legal conclusions. However, the LAPD was held to be a criminal enterprise by a federal judge who ordered their takeover by the DOJ to clean them up. When I mentioned that here the first time it caused a stir until I provided clear and convincing evidence with a copy of the court’s opinion. well what I don’t understand is why the various state attorney regulation counsels get complaints of crimes, fraud etc. and then do nothing with them. There does seem to be a cultural disease developing, which manifests as sociopathology or worse, psychopathology. As a society we forgot the danger that denial caries along with it, and we now see it making incursions everywhere, like the cases you cited. Here is another case concerning official play pretend. It comes from North Carolina, the state that passed a law forbidding sea level rise more than 8″ in any official state document. Meet John Skvarla, new secretary of the Department of Environment and Natural Resources (DENR, to tarheels). To cut to the chase, here’s your takeaway idea: maybe oil is a renewable resource. And he doesn’t mean in the wait-45-million-years-and-we’ll-get-more sense. “The Russians for instance have always drilled oil as if it’s a renewable resource,” says Skvarla. “And so far they haven’t been proven wrong. Yep. There’s just TONS of scientists out there figuring that maybe oil is like those trick cups Barbies used to drink from, where you tilt them and the stuff vanishes, and then it magically fills back up when you set it down. TONS of scientists. (Scientific American). The judge in this case was obviously in a form of denial that allowed play pretend fantasy to take over her cognition, as did the government official in NC. Lock her up in Quantico, take her clothes and wake her up every hour to keep her from killing herself. 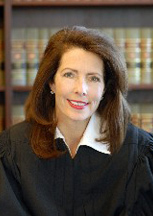 American justice for an American judge who is a thief. This is America, give her the Bradley Manning torture. There is a certain God like phenomena that overcomes 99% of all judges in Michigan…..
Definitely Obama’s next Attorney General. The guy who owns the bar should be made director of the IRS. it is scary to try to understand the mentality of this judge and how did she expect to get away with these crimes? I understand a need for money, but this is like sticking up a gas station. I am going to retire, but then I don’t!? You’re right…. I cannot defend her actions, she should have known better. What is interesting so far is no one has mentioned her husbands Floridia home in this mess….. Right you are… It’s very sad indeed… If you’ll recall a recent case mespo cited…. The sct is for all intensive purposes a corporate governance board…. I agree with you…. What is interesting is they are nominated by the party….. And run Nonpartisan ….. A screwy concept….. I believe this came about in 1963 or so…..
Darren, I agree. However, in Wi. it is “nonpartisan” elections and there are always a Dem and Rep only just not in their title. It’s the same way in KC where I formerly lived. Of course, better than Chicago where there is only one party! How can there be objectivity when you have judges running in elections as Democrats or Republicans? This should be a non-partisan position. In Idaho we just had a case where a man who owned a bar was sentenced to several years for tax evasion. He ran a gambling operation in his bar, syphoned off the profits to mexico where he developed some commercial property. Over the past few years we have had a man named Timothy Geithner (perhaps you know him as Treasury Secretary), he “forget” to pay some income taxes. His punishment? become secretary of treasury. Here is a prominent person who manages their property in a unique way to benefit themselves and what will be her punishment? Perhaps she can be appointed to a Federal court? I thought justice was blind? Do we wonder why there is so much distrust in our country? You tea baggers? you liberal scum? we call each other names and meanwhile the leaders of both sides of the aisle take us for fools. Anoynmous Yours — You refer to her transgressions ( $600k worth of fraud) as merely “short comings” . .boy do you Democrats set a low bar! Perhaps Detroit’s beloved ex-Mayor KK is simply misunderstood.